An economical way to create imaginative projects and crafts! 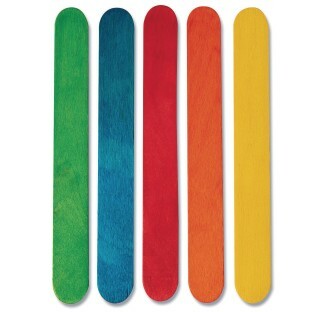 With your creativity and these colored jumbo craft sticks all your projects will be colorific! I found out you can't get these guys wet or the colors bleed. Will be doing lots of fun projects this summer!